Looking for dinner ideas or easy pasta recipes? 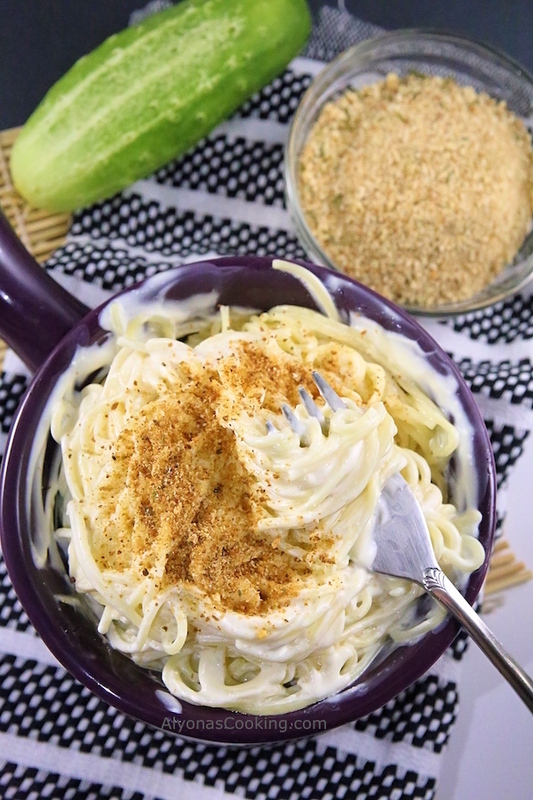 This Cream Cheese Pasta Recipe is one of the easiest angel hair pasta recipes on the web! 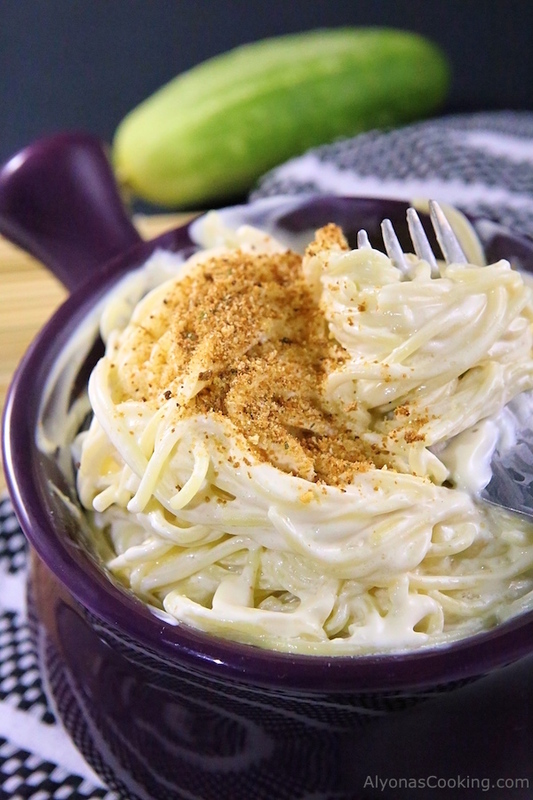 The two ingredient cream cheese pasta sauce is the way to go for a super quick and tasty pasta dish. It’s an incredibly yummy and simple dinner meal that is quite satisfying and kid friendly. 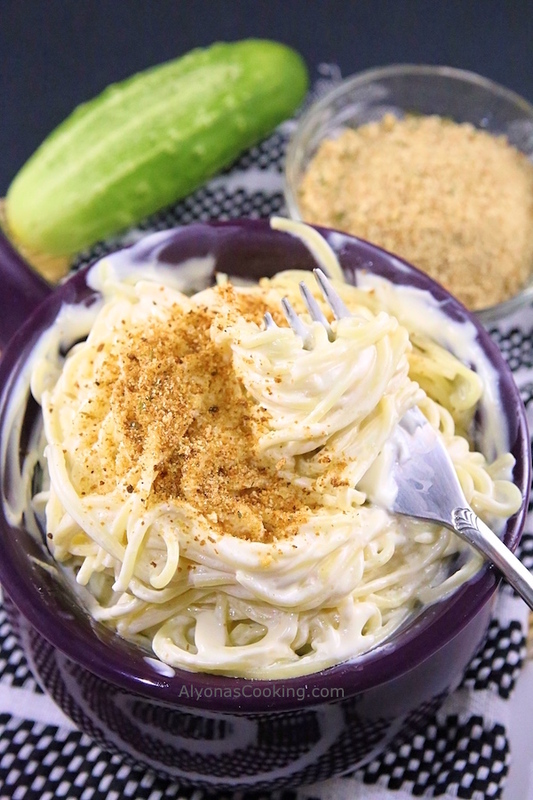 The cream cheese sauce can be made while the angel hair pasta boils (which takes about 5 minutes) and you can have one speedy dinner in no time. The pasta sauce mellows out beautifully with chicken broth (which you can make by adding 1 chicken bullion cube to a cup of boiling water.) After combining the creamy cheese and broth there is no need to season the sauce. This is definitely a meal to try when you are looking for easy dinner ideas! 1. Cook pasta according to package instructions. Drain and set aside. 2. 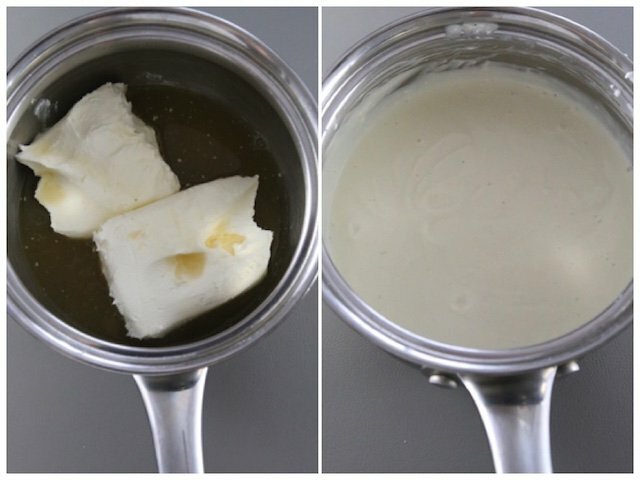 In a small saucepan, combine 1/2 cup of broth and cream cheese. Whisk over high heat until smooth. 3. Add remaining 1/2 cup of broth and stir just until combined. 4. Pour sauce over cooked pasta and toss to combine. Garnish with toasted bread crumbs. Looking for easy pasta recipes? This Cream Cheese Pasta Recipe is one of the easiest angel hair pasta recipes on the web! 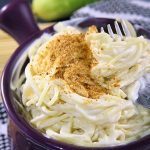 The two ingredient cream cheese pasta sauce is the way to go for a super quick and tasty pasta dish. 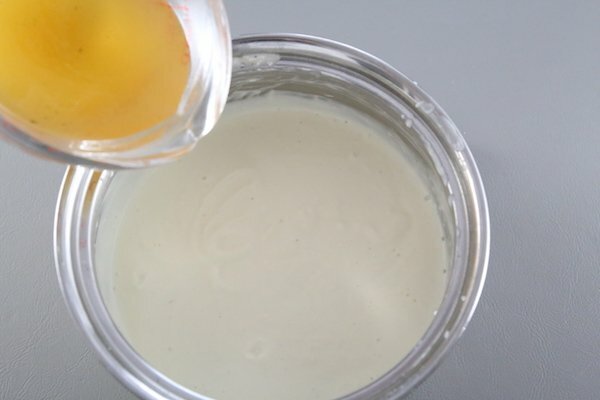 In a small saucepan, combine 1/2 cup of broth and cream cheese. Whisk over high heat until smooth. Add remaining 1/2 cup of broth and stir just until combined. 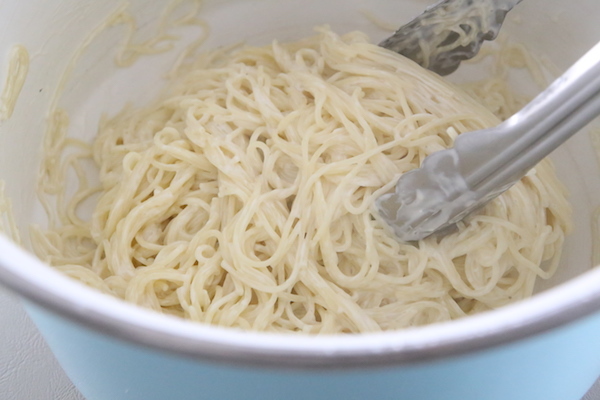 Pour sauce over cooked pasta and toss to combine. 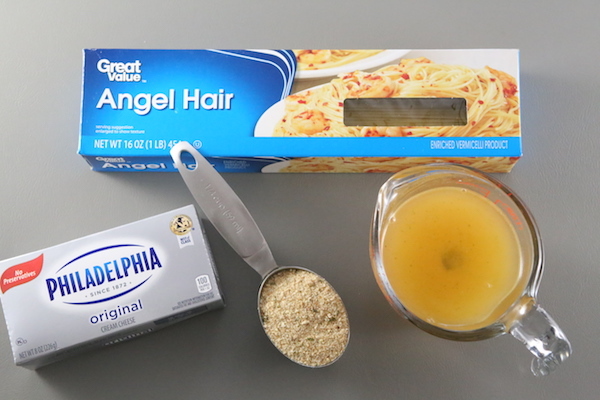 Garnish with toasted bread crumbs.